Still a popular variety despite having been on the market for nearly 20 years. Average yields but a higher than average kernel content have ensured that the end users still like it. Average straw height and strength and of average maturity. 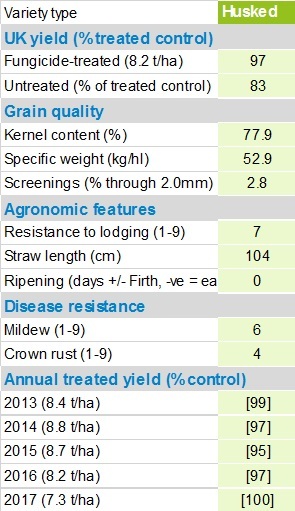 Also average but quite reasonable disease resistance for both Mildew and Crown Rust.